'I think I’ve got to see Happy New Year but people have told me that I would like Haider,' The Best Of Me director Michael Hoffman tells Paloma Sharma. One Fine Day director Michael Hoffman is no stranger to the romance genre. He is, however, a stranger to India as he travels east with his latest romance feature, The Best Of Me, to seek an audience who, in his words, loves love. Not bothered about what critics have said about The Best Of Me, which is based on a Nicholas Sparks novel of the same name, Hoffman claims that he makes films for the audience only. On his arrival in Mumbai, the director sits in a cool hotel room guarded by burly men in safari suits and chats with Paloma Sharma about his film, India and George Clooney! Did you read the book before you decided to adapt it or did the studio approach you with a script? There was a script that existed. I then read the book. Another writer came in, took another pass at it and then I did a draft before we shot. 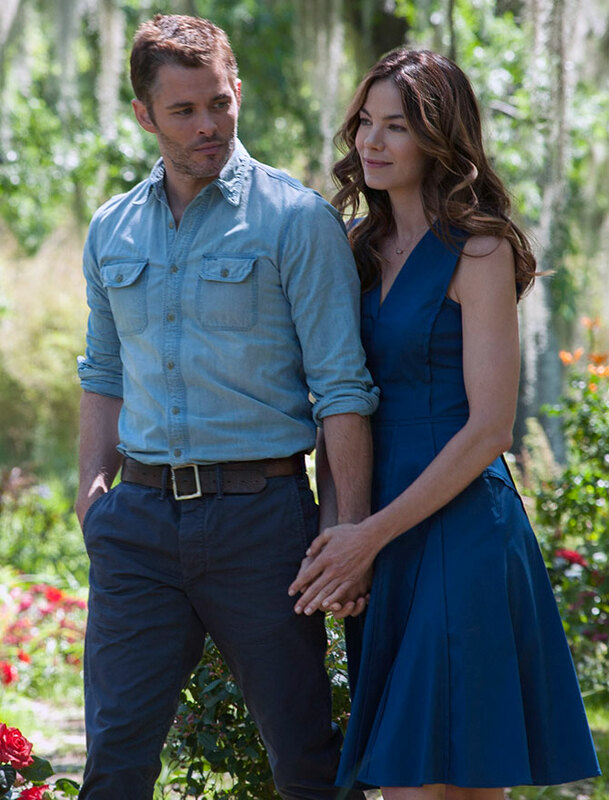 So were Michelle Monaghan and James Marsden your first choice for the roles of Amanda and Dawson? There were a lot of conversations in the beginning about different people but it was pretty early on that Michelle was cast. I always knew that for the role of Amanda, you need to have somebody who the audience will really trust. I don’t know if it will be so in India but in America, I think there’s that tendency. With Amanda, she’s married and contemplating an affair with James, and even though we understand that this is the love of her life, some of the audience might be judgmental about that. So it’s really important that whoever plays Amanda is an every woman and that you really trust her. I think Michelle has that quality. In addition to that, she’s a marvellous actress. I have tons of respect for her as a storyteller and as an artist. As for James, he came on later. I’m sure you know that Paul Walker was cast in the movie initially. What a lovely human being he was. It's terribly sad what happened but I could not be happier about James’ work. He’s incredibly generous, intelligent. You know, it’s very hard to play a character who is passive and the Dawson character has to sit and wait and then find a moment when he can offer up his love again because obviously Amanda has a lot going on in her life. In addition to that, I think he’s very, very beautiful. Have you watched any Bollywood films? I’m going to this cinema. What’s it called? Yeah, G7. I think I’ve got to see Happy New Year but people have told me that I would like Haider. Do you plan to do a Hindi film or a musical sometime? I’d like to do a musical. I almost did Hairspray and strangely, I’ve just been sent two musicals. I can’t tell you what they are. All I can say is that they’re American musicals. I’m making a commitment sitting right here, right now to learn more about Bollywood cinema, go talk to my friend, Gurinder Chadha. She’s been trying to educate me for years. We don’t see a lot of Hollywood actors and directors coming to India to promote their movies. What makes you an exception? I’ve never been to India before but I know that the Indian audience has been very supportive of these Nicholas Sparks movies before, so I guess it was time. I want to come here more often and spend more time here. It's such an important market. It seems like Indians have an appetite for romance. So if there’s one place in the world where you’re going to go to find an audience who really loves love then maybe this is the place. I mean, I was in a bookstore yesterday and there were more stacks of Nicholas Sparks’ books than I’d ever seen anywhere else. Sparks does have a massive fan following in India but his critics have said that his books are formulaic and predictable. Were you worried about that? You’re making this movie for an audience, not for some critics. So I’m not engaged in a critical debate about this movie because I don’t think that most critics would really want to look at it as it is. They’re really rather dismiss it as a ‘been there, done there’. So going into it, unlike many movies I’ve made, it just isn’t my concern. My concern is the audience. If you had the chance to go sightseeing in India, where would you like to go? The place that I would go first is Varanasi. From what people have told me, it seems to be a very powerful place. It would be a life changing experience. I’d love to go to Rajasthan. I had a chance to go on tour with the Rajasthan Royals a few years ago and I’d like to do that because I love cricket. I actually comment on a cricket show in England. I’ve lived there for 15 years. That would explain it. There’s so many places. I’d love to go to Kerala. I’d love to go to Goa. I’d like to go to Delhi. I’d like to go to Agra. Have you managed to learn any Hindi words yet? I’m sure I know some Hindi words but I’m not sure if they’re Hindi. Like baksheesh. Is that a Hindi word? You seem to have picked up the perfect word. What is the one thing that you’ve really liked about India? The warmth and the generosity that I have felt just in the streets really impressed me. Everybody told me that Mumbai would be sort of overwhelming as a city, you know, because it’s so huge and they said that my senses would be overwhelmed. But I haven’t really found that. It’s just all warmth and friendliness, just sitting and talking to people. People here are very, very approachable. They want to engage. I like it. I’m sure it’s not the easiest place in the world to live day-to-day. I can imagine, with the traffic and everything, but I am yet to find anything I don’t like. You directed George Clooney in One Fine Day. Were you there at his wedding? But I saw George not that long ago and we had lunch together. He’s always been this gracious, supportive, lovely guy. He’s a great actor and I love his politics. Of all the actors in the world, I think he uses his fame incredibly well. I admire that about him. 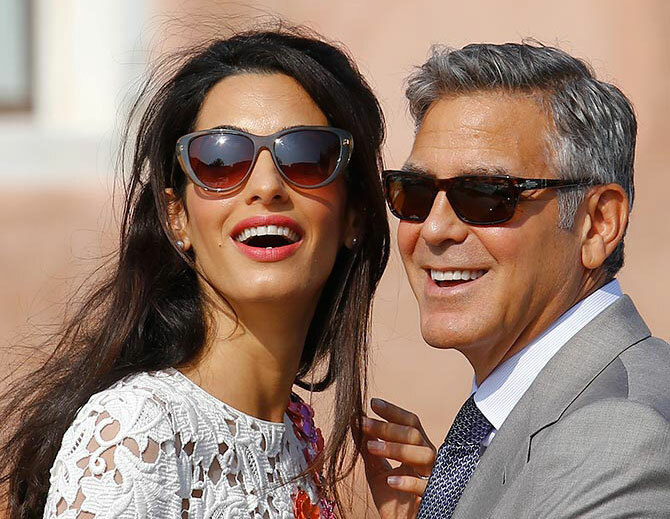 I knew his last girlfriend, the Italian, but I haven’t met Amal. Did you ever think, when you were shooting for One Fine Day, that George Clooney would ever remarry? Well, I don’t know because at that time he seemed to be a very committed bachelor. I am actually a bit surprised but I’m really glad that he did. He seemed very happy. Are there any behind the scenes anecdotes you’d like to share? One thing I remember is the oil rig which we shot at in Morgan City, Louisiana. It will appear to be in the middle of the ocean because of the magic of CGI but it was actually connected to the shore. It was a school for teaching oil workers and there was an old guy who would cook for the workers at the school. Every day he would come out the back and he would dump whatever was left from lunch over the side. He call, like one calls out to animals, and these four alligators would just kind of emerge and he would throw them the food. He knew them all by name and he had a conversation every day. Meet the most wanted man of Formula One!